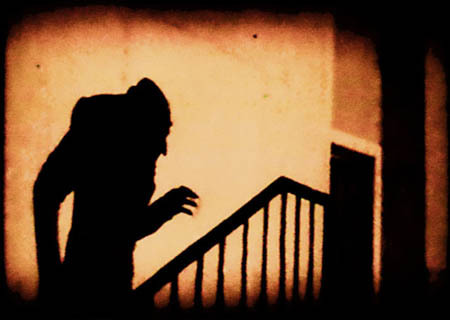 Last weekend I was delighted to attend a live screening of F. W. Murnau’s NOSFERATU (1922). The timing of this silent classic fits in nicely with my October series of horror classics. My town’s local arts center in partnership with Footprints’ Birkenstock sponsors an ongoing series for silent film screenings. This was the 2nd of silent gems I had the pleasure to see as part of this series. 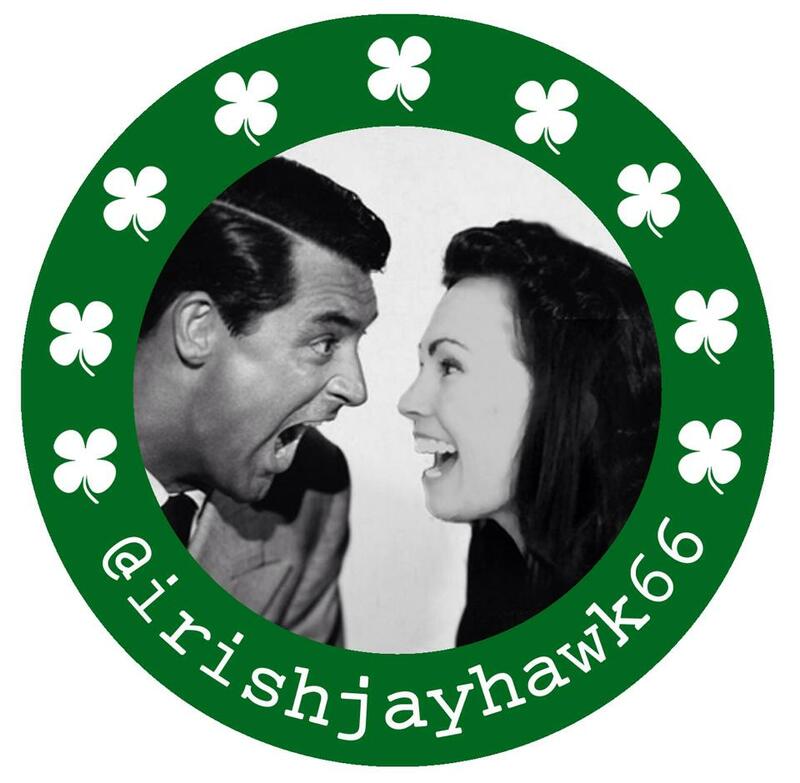 My husband and I were once again joined by our dear twitter pal, Trevor (aka @tpjost whom some of you may know as a #TCMparty co-host along with Paula aka @Paula_Guthat), who drove a few hours to get to our little college town of Lawrence, Kansas. 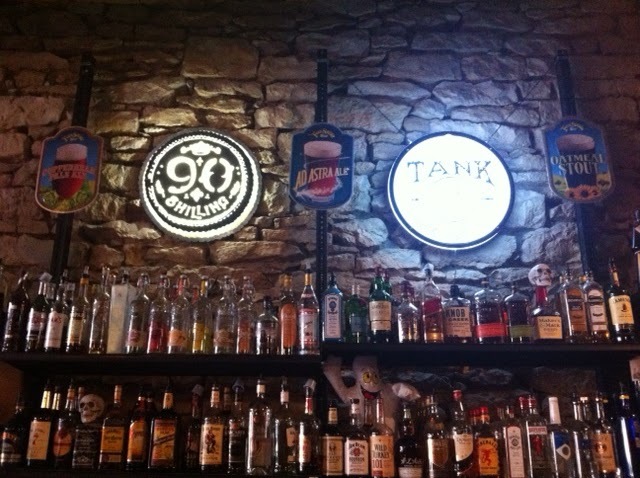 We started off by meeting at a local gourmet burger joint, The Burger Stand, which is beginning to become a bit of a tradition for us prior to our Lawrence silent film screenings. As Trevor would likely tell it, apparently my Irish has influenced these gatherings based on the level of imbibing that takes place each time. Luckily for my hubby and me, we’ve reached an age where we pace ourselves. Nuff’ said. After filling up on burgers and spirits, we walked over to the Lawrence Arts Center and settled into seats right up front and center. I recognized neighbors and other familiar faces in the crowd. Then, Bill Shaffer, best known as for his work with the Kansas Silent Film Festival, came out on stage to introduce our fabulous event. He also introduced our evening’s musical accompaniment, The Alloy Orchestra. What a treat to see this masterpiece with live musical sound editing in harmony, newly composed by The Alloy Orchestra just for this film. 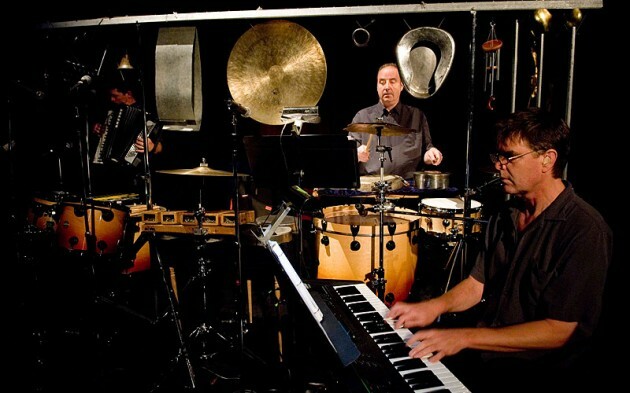 Alloy is known for it’s unique stylings of sound with use of unusual objects, all within a three man ensemble. They’ve helped revive a modern following to silent film via film festivals and venues such as The Telluride Film Festival, The Louvre, Lincoln Center and even The Academy of Motion Pictures. And boy, did they deliver! 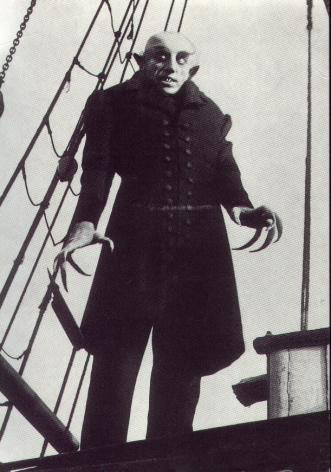 It had been many, many full moons since I had seen NOSFERATU so I was looking forward to this screening for weeks. What a perfect way to prep for the Halloween season. In watching this German expressionist classic I was reminded why it’s endured as the vampire flick that has truly influenced all the others that followed. Based upon Bram Stoker’s infamous novel, Max Schreck is an absolutely startling vision on the big screen as “Dracula.” His long, dark coat drapes his thin body in stark contrast with his ghost-white glowing gaunt face, with no neck to speak of. His bald head creates no distraction from his bat-like over-sized and pointy ears with darkly shadowed, hollow eyes that literally send a chill up your spine. Adding to this visage were his tremendously long, sharp fingers and nails always reaching out or extended like animal claws. But the zinger for me was his teeth. Unlike what’s commonly seen with vampires in more recent depictions, Schreck’s teeth are all fangs- not just a couple of bicuspids. And they are uniformly long, skinny, and almost like white needles. What’s always amazing to me with silents is that with very little dialogue typed up on that screen, the bulk of storytelling is left to expression, reaction, and visual mastery. NOSFERATU does a beautiful job of telling the “Dracula” story in a more raw and simplistic way than modern films yet it remains a chilling cinematic experience to this day. 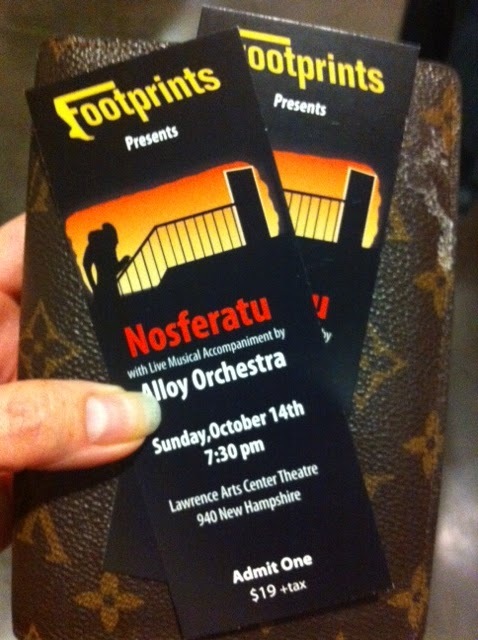 Nosferatu is one of my Halloween essentials and it's even better when you get to see it with the Alloy Orchestra. The first time I ever got to see the Alloy Orchestra live was with Nosferatu a few years ago. They were so amazing. My mom came with me and she didn't know anything about the Alloy Orchestra and had never seen Nosferatu before. When we left, she was more excited about the whole thing than I was! You scared me. Nice creepy job. BOO! 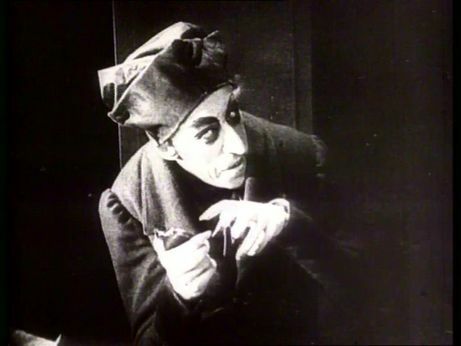 Okay, so maybe Max Schreck does a better job than me. Glad you enjoyed my write-up, Gary!